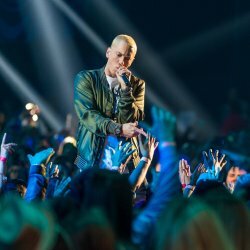 Lyrics for top songs by Eminem feat. Royce da 5'9"
Eminem, Royce da 5′9″ feat. Sucka Free & Kid Vishis, Royce da 5'9"
Trick Trick, Eminem feat. Royce da 5'9"